It snowed again early this morning; just a dusting, nothing measureable. This 1911-postmarked card is from my Waterbury, CT collection of postcards. In my humble opinion, this is one of the ugliest scenes I have ever seen depicted on a postcard. 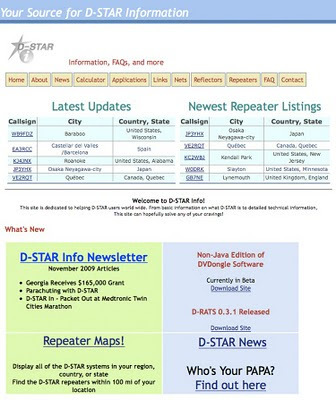 However, it holds a lot of memories for me. 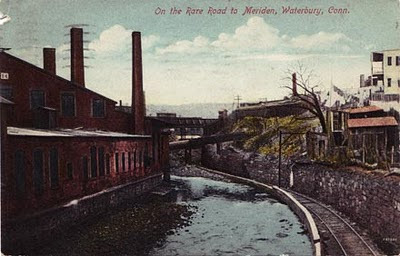 I was born and raised in Waterbury; born in St. Mary's Hospital, about 400 feet from the location depicted in this postcard, and raised about 1-1/4 miles from the location. The postcard depicts the view from the Baldwin Street bridge looking northeast over the Mad River and the railroad tracks of the Meriden, Waterbury, and Connecticut River Railroad (MWCRRR), which was part of the New York, New Haven and Hartford Railroad by the time of this postcard's publication. To the left of the river is part of the huge Scovill Manufacturing Company complex. To the right of the tracks are the rear of the houses located on Bridge Street, where my mother spent part of her childhood. Notice that the tracks are lower than the river. I can recall many a rainy day going over the Baldwin Street bridge and seeing the river flooding the railroad tracks. 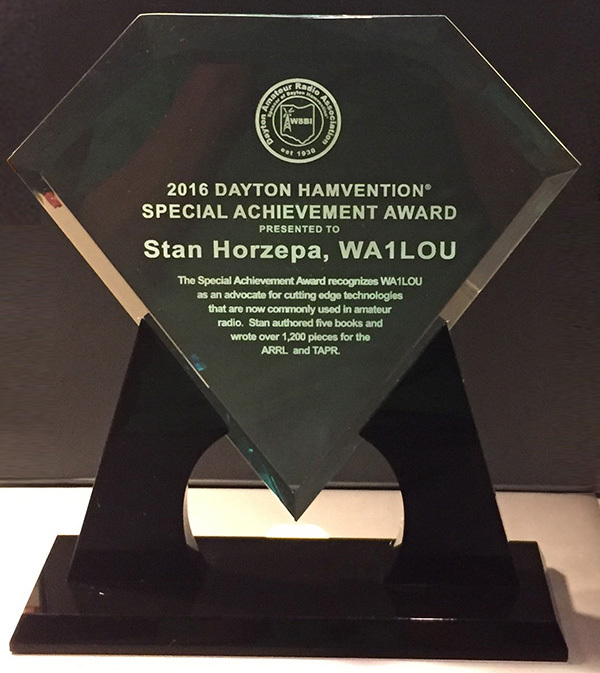 By the time I was crossing the tracks, they ended about a mile to the east near the Harper's Ferry Road bridge and only served Scovill and a couple of businesses on Hamilton Avenue. 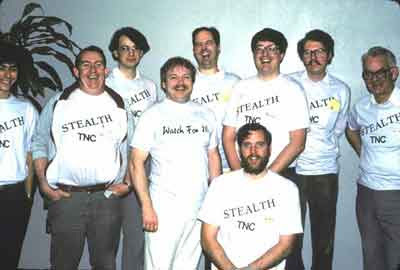 Today, this scene is unrecognizable. The factory, railroad tracks, and Bridge Street are gone. Only the river remains and it is buried in a tunnel under six lanes of I-84. The Google Maps screen capture below approximates the location today. The mailman has brought me three new postcards for my collection since Saturday. Lately, addition to my collection have been slow in coming, so this has been an unusual seven days. The latest addition is the chrome postcard illustrated above. 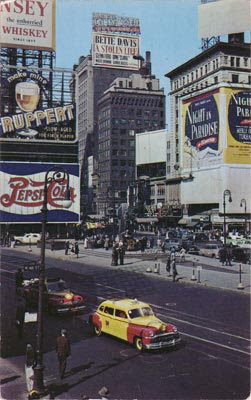 It depicts the north end of New York City's Times Square with Broadway in the foreground and 7th Avenue in the background. The card is postmarked 1952, but the photograph used for the card was taken in 1946. 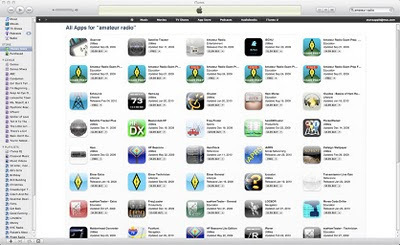 This week, Surfin' finds more smartphone ham radio apps for iPhones and non-iPhones alike. 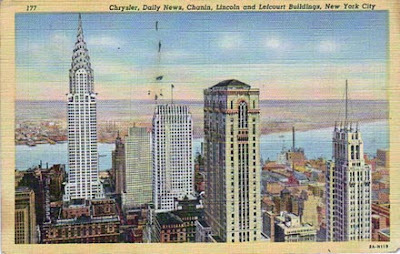 Many postcard collectors include postcards related to their hometown in their collections. I do, too. I was born and raised in Waterbury, CT, and moved to Wolcott, CT, after I married, so I include Waterbury and Wolcott postcards among the cards I collect. Waterbury postcards are plentiful and I have hundreds in my collection. On the other hand, Wolcott postcards are rare. 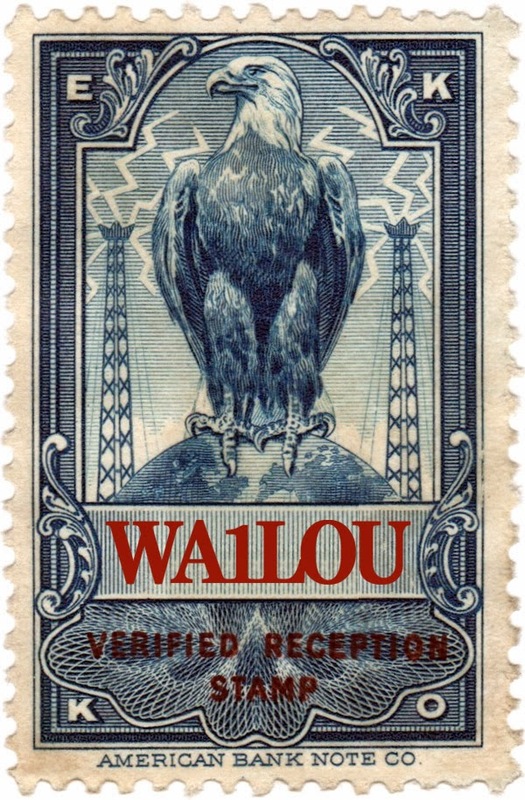 I probably add one or two new Wolcott postcards to my collection each year and just added number 32 today when the mailman delivered the postcard pictured above. 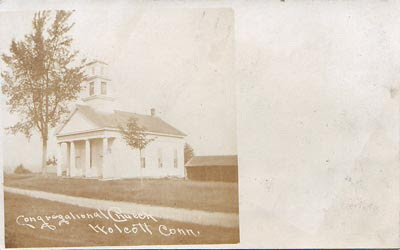 The 1908 postmarked postcard is a real photo postcard depicting the Congregational Church, which is on Center Street opposite the Wolcott Green. One hundred and two years later, the Congregational Church is still in business in the same building, which you can see here. Yesterday, it snowed most of the day, starting before dawn and ending about 8 PM, leaving a total accumulation of 8 inches. Total snowfall this month is 13 inches; total snowfall for the winter season is 33 inches. 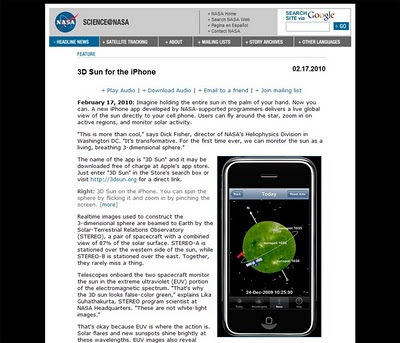 This week, Surfin' considers the coolness of iPhone ham radio applications ("apps"). I woke up at 5:15 AM after the garbage men were finished rattling our garbage cans. I figured I should get up and go out to rescue the cans and recycling bucket before they get lost in the blizzard. I was surprised that nary a drop of precipitation had fallen yet despite the predictions that the snow should start around 3 AM. Last night, K1GF was saying that the air was very dry and that the air would have to be saturated before snow would begin falling, so that is why the radar shows precipitation, but none was hitting the ground because it was evaporating in the dry air. When he said that last night, I thought that (1) the snow is going to start later and (2) the accumulation will be on the low side. So far, I am half-right. It started snowing here at 7 AM and it is a very light snow. Gil Simmons, the morning weather guy on WTNH, is now calling for 8 to 12 inches vs K1GF's 8- to 14-inch prediction last night. Scott Haney over on WTIC is calling for 6 to 12 inches.